Harper (Tye Sheridan), a seemingly naive law student, obsesses over the idea that his shifty stepfather was involved in the devastating car crash that left his mother hospitalized and comatose. 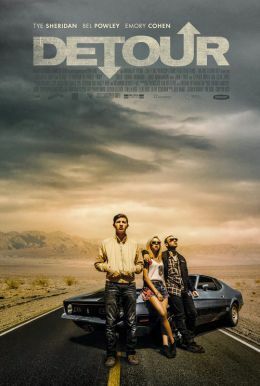 He drowns his suspicions in whiskey until he finds himself suddenly engrossed in conversation with volatile grifter Johnny (Emory Cohen) and his stripper companion, Cherry (Bel Powley). As daylight breaks and the haziness of promises made becomes clearer, how will Harper handle the repercussions (not to mention the violent duo on his doorstep)? Employing a split-narrative structure to tell this tale of deception and murder, Christopher Smith takes his audience on a thrill ride full of hairpin turns, where it’s never quite clear what or who can be trusted.